Is priming necessary? It depends on what you're painting. Read on to find out when it is—and isn't—important to prime. Is it more effective to do one coat of primer and one of paint, or skip the primer and use two coats of paint? The walls have already been painted in the past. Many would-be do-it-yourselfers don’t know quite what to make of primer. Is it always necessary, or is it completely optional? Is priming ever actually a critical step in the painting process? Is the strongest argument in favor of primer simply that it’s a smart thing to do? In other words, when is priming required? Here’s the first thing to know about primer: It should be used only on unpainted surfaces. So if you want to give a new color to something in your home—crown molding, let’s say—there’s no need to prime if that something has been painted previously. Simply clean it with a solution of TSP and water, then proceed to paint. In the case of raw wood, however, the best practice is to apply an initial coat of primer/sealer. Doing so prevents wood sap from discoloring the job. Along the way, the primer conveniently fills minor dings and depressions in the surface. But the main thing primer does is serve as an even substrate beneath the top coat finish. Many products today combine primer, sealer, and top coat into a single formulation. 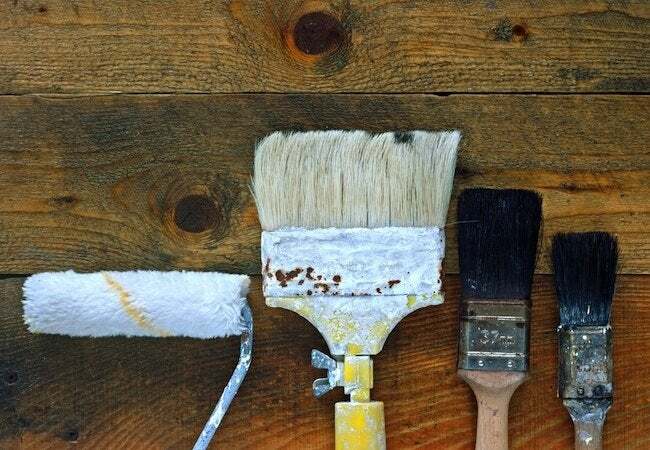 These self-priming paints are surprisingly effective, given that they enable you to complete jobs in less time and with less hassle. You save money, too, by not having to purchase primer and paint in quantities sufficient for multiple coats. Even so, primer remains a valuable resource in the do-it-yourselfer’s arsenal. Most useful are those primers specially designed for a specific application. For instance, there’s no substitute for drywall primer, which works great on—you guessed it—drywall. Likewise, metal primers are essential when you’re painting bare metal. And when you wish to achieve a perfectly smooth, glossy finish, don’t take any chances: Go with the primer recommended for the enamel paint of your choice.